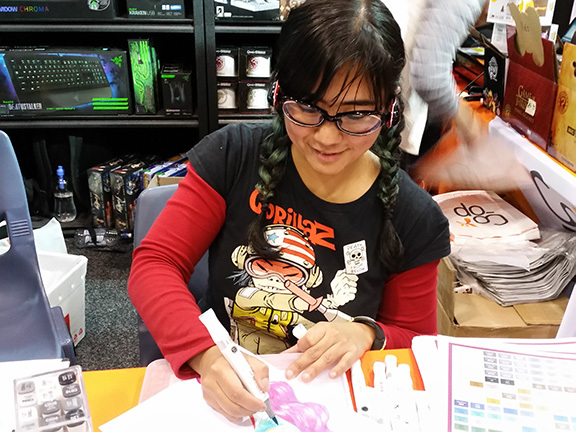 My name is Marta Tesoro and I am a Freelance animator and illustrator based in Victoria, Australia and I have been working in the industry for about 12 years. I've done animations and designs for children's TV, web, commercials, and phone apps. I have done corporate, educational and government related animations and designs as well. I have skills both traditionally and digitally and I love what I do. I do a daily blog post, most of the times when am not super busy or travelling, so please come back and visit as there is something new everyday. All work is copyrighted, please don't use without permission. Please feel free to drop me a line for any inquiries and commissions!